Reformierakonna, SDE ja IRLi valitsus. For several weeks now, the governing coalition has been discussing social democrats' proposals to amend the power treaty. The talks are nearing their end and the Soc Dems management, convening on Sunday, will determine whether what has been achieved is acceptable and sufficient to continue in the coalition. Up to now, the Reform stand has been that there are no means to carry out the main soc dem proposals. As also confirmed by Soc Dems chairman Jevgeni Ossinovski, talks on what’s weightiest are yet ahead. Reform’s unwillingness to give way and the growing discontent among soc dems has created a situation where Mr Ossinovski is meeting with representatives of various parties and all political forces are thinking about forming a new coalition. «At the moment, all parties are ready to form a coalition, there is a mutual testing of limits going on, and all meetings between the parties are such as should have been before the elections,» said Centre faction vice chairman Mailis Reps after a meeting with soc dems. Ms Reps said Centre and Soc Dems share similar principles and the Centrists are willing to also talk to Mr Ossinovski over forming a coalition, if necessary. «It’s all for Jevgeni to decide. At the last meeting, we tried to understand what exactly it is that he wants, and what are his ambitions,» said Ms Reps. «Possibly, Mr Ossinovski is trying to find clarity in himself about if he’d have something to gain for himself in some other coalition,» she said, adding that thus far nothing has been discussed on coalition talks level. The Free would also be willing to cooperate with Soc Dems. «True, our views are close. Like soc dems, we support the raising of income tax free minimum and even their other proposals are copied from the programme of the Free as if,» said Free Party chairman Andres Herkel. Meanwhile, the Free have excluded cooperation with Centre: «As long as they have that sorry deal with United Russia, we have a very hard time thinking about Centre as coalition partner,» said Mr Herkel. 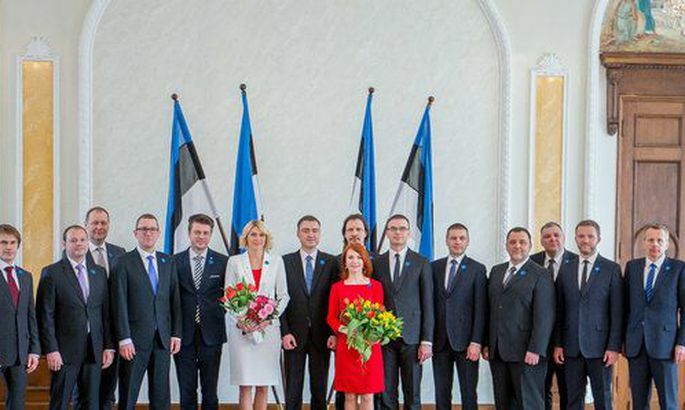 Reform chairman and Prime Minister Taavi Rõivas, however, is convinced no new coalition will be formed behind the squirrels’ back, and that the current coalition will reach agreement. «Calculating within 101 [the membership in Riigikogu – edit], I see that there are not too many chances for creation of new coalitions,» explained Mr Rõivas, adding that he could not imagine Soc Dems cooperating with EKRE or the Free with the Centre led by Edgar Savisaar. Mr Rõivas said there were no reasons to start destroying the government. «What’s real is that the government will jointly discuss whether and how additional topics could be included in the government’s working plan. We will keep pulling this heavy yet vital wagon!» said Mr Rõivas with conviction. He said the soc dems leader Mr Ossinovski had told both him and the IRL leader Margus Tsahkna that he had no plan to break up the government. Mr Ossinovski confirmed the meetings with opposition parties, but added he would be focussing on reaching an agreement within the current coalition. As also assured by former soc dems chairman Sven Mikser, he has not heard about Mr Ossinovski seeking options to create a new coalition. «I have never thought that holding several talks at the same time would be polite and right,» he said.